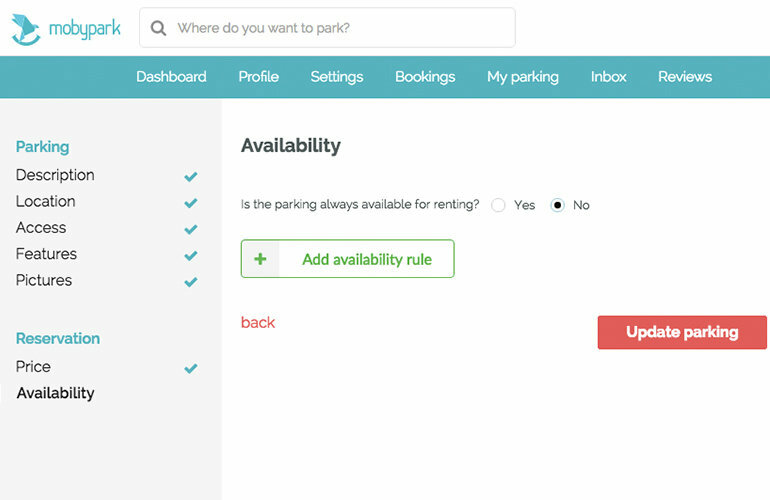 Mobypark: How can I edit the availability of my parking space? 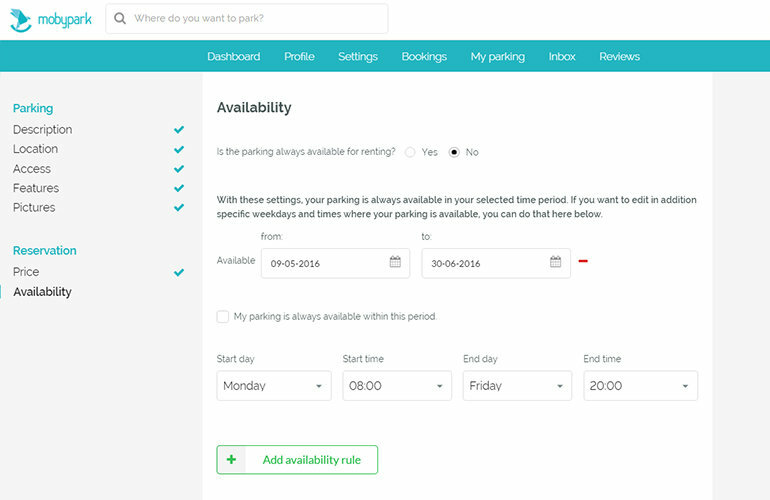 In case your parking is not available at certain dates, you can select a timeframe during which your parking is available in order not to receive any booking requests for the times when you need it yourself. This is handy if you have a parking space that is available e.g. only during the weekends, only for a certain period, or also only during the night or during the day. In order to change your calendar settings, go to your dashboard and edit your car park ad. 2. Click on "add availability rule"
3. 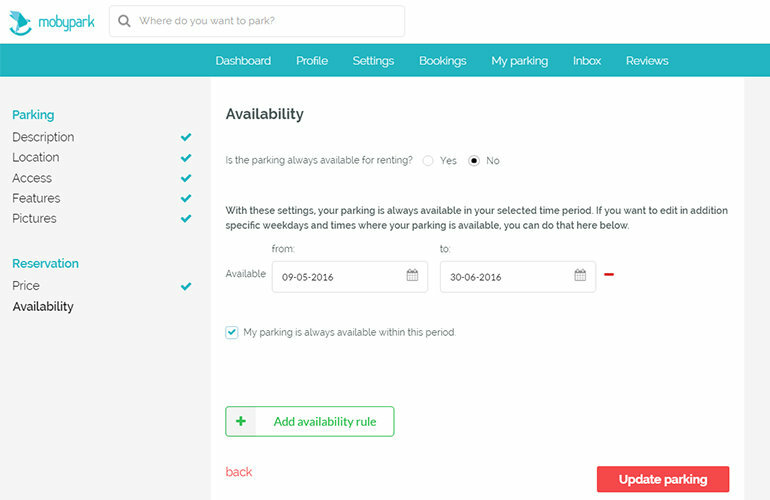 You can now select a start date and and an end date during which your parking is available for drivers. If you do not want to select specific weekdays, you are good to go, just leave the box checked. 4. If you want to select in addition also certain days or time slots, you can do so as well. Remove the check in the box "My parking is always available within this period" and select the days and times your parking is available. For every new rule you want to create, click on "add availability rule".